The deadline for protecting players from Rule 5 Draft eligibility by way of adding them to the 40-man roster is Friday, November 20. Brewers GM David Stearns told reporters on Thursday that he was still considering who to protect. This post is to call out the list of those who require protection and to give my opinions on who they need to add. After acquiring Jonathan Villar from the Houston Astros via trade on Thursday, the 40-man roster stood at 35 and therefore has five open spots. First and foremost, there is no easier choice for Rule 5 protection this year than SS Orlando Arcia. Widely considered the Brewers best prospect, it would be foolish to not protect the young man. That gives us four spots to play with. The Brewers don’t announce at which level they protect players, but there is a 38-man Triple-A reserve roster for any unprotected players. The names on that list are the ones eligible for selection in the MLB portion of the Rule 5 Draft. Any player selected during the MLB portion of the draft must be kept on the selecting team’s 25-man roster for minimum time constraints the next MLB season or be offered back to said player’s original ballclub. A recent example of how that works is Wei-Chung Wang back in 2014. The Pirates protected Wang on the Triple-A reserve roster despite his never having pitched above High-A ball. The Brewers dealt with his obvious lack of experience that season for the ability to continue his development in the minor leagues the following year. Now, most players taken are much closer to MLB-ready and can somewhat hold their own. Wang was an exception to that side of the coin. Let’s get back to the topic at hand though and discuss which players I think the Brewers need to protect for fear of losing their talents. I’ve already mentioned Arcia. I look next to the Arizona Fall League, a sort of finishing school for prospects on the cusp. Damien Magnifico has flourished in that league and needs protection, in my opinion. Relief pitchers tend to be the most easily plucked since it’s easier to “hide” them if they are struggling to adjust. I think what he’s shown this entire regular season as a reliever for Double-A Biloxi coupled with his strong AFL play has garnered him attention to the point where he’d end up elsewhere if the Brewers left him unprotected. Next, despite his early career struggles making consistent contact, I think that power is such a premium skill these days that outfielder Victor Roache could get protected. The Brewers invested highly in him following a broken wrist suffered in college and I think they owe it to themselves to see if Roache’s gains at the plate in 2015 are long-term gains. Granted, Stearns wasn’t around back then so he may evaluate Roache differently, and the Brewers do have a lot of outfield prospects coming, but there is at least room for Roache now. That said, a jump from Double-A to MLB, even as a bench bat with pop — might be analyzed as too great to think that anyone would take the risk. I’d rather not take the chance, but I’m not a part of Stearns’ front office. Back to the pitching side of things, there are a quartet of names that I think warrant consideration. That said, given my earlier choices I’m limited to picking just two more if all things remain the same. The players are Jacob Barnes, Jorge Ortega, Brent Suter, and Wei-Chung Wang. Wang and Suter are left-handed and it’s been quite some time since the Brewers developed a southpaw, especially into the rotation. Wang has already been invested in, but again that’s by the previous regime. That said, he absolutely took off mid-season following being designated for assignment. If the Brewers feel the turnaround is permanent, they’d need to protect him. Suter worked his way from Double-A into the Triple-A rotation by season’s end, really putting together a nice season. He’s getting older as far as prospects go, and he isn’t a fireballer by any means, but we’ve seen how long it can take some left-handers to really realize their potential. Suter appears to be getting there. Barnes is another Arizona Fall League participant this year and he’s put together a nice short season there to follow up a solid campaign with Double-A Biloxi in 2015. In eight AFL games (as of this writing) Barnes hasn’t allowed a run on just six hits and three walks (against 17 strikeouts) in 11.2 innings pitched, all in relief. It’s exactly the type of stint that makes the minor league talent evaluators happy but potentially nervous with the Rule 5 Draft coming up. 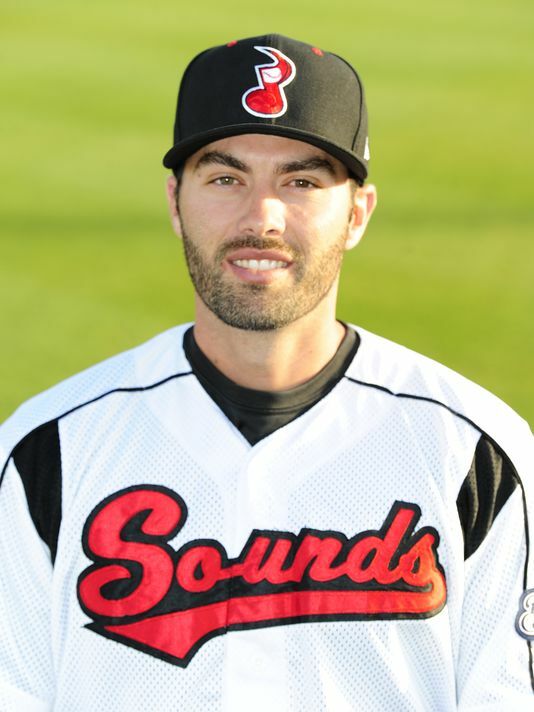 Finally, with Ortega you have a pitcher who shot from High-A Brevard County all the way up to a spot start at Triple-A Colorado Springs during the season. He was great in both spots and pitching so well that he was officially added to Biloxi’s playoff roster. He made all those moves based in large part on his command and control. Get this stat: Ortega has pitched 439.0 professional innings in the regular season over five years. He has walked just 55 batters, one intentionally. That’s outstanding. A jump all the way from, virtually, High-A ball to the majors might seem too daunting for a team to risk a Rule 5 pick, but there is certainly precedent and if you don’t walk batters then you might be able to find quick success at any level. There are enough rebuilding teams that one of them might be quite happy to pluck Ortega for their system. There are a couple of other names (Nick Ramirez, Brooks Hall are examples) that I could see Stearns wanting to protect if he evaluates them highly enough, but it feels like the six guys I listed are the core pool this year. Let me begin my synopsis by saying that I have a feeling Stearns is going to take advantage of all his currently open spots. It feels like he’s got other moves in the works that will free up additional 40-man roster space yet this winter so there’s little reason not to protect as many worthy assets as possible right now. Without the knowledge of anything coming in the future, I think protecting Arcia and Magnifico happen in every scenario. Of the five players I mentioned outside of them for the three remaining spots I think I’d roll the dice by not protecting Roache and not protecting Suter (I guess?). I think Wang should be protected given his rebound. 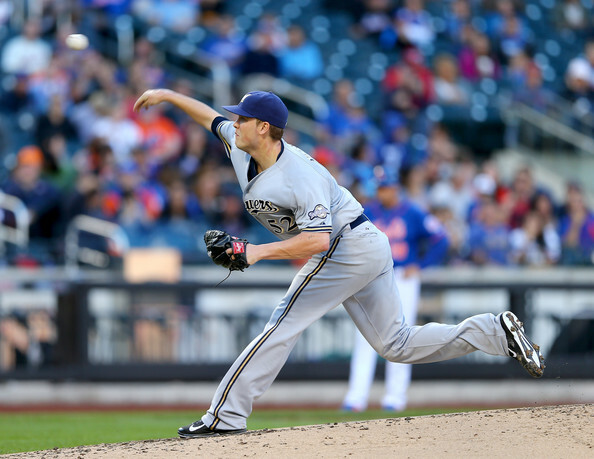 I think Barnes is going to be a big-league reliever and would rather that be in Milwaukee. I think Ortega is intriguing enough that someonen would pop him if unprotected. I like Suter and even though he’s left-handed, I think the Brewers would be taking a calculated risk that pays off. With Roache, it’s partially about his strikeout rate (which many teams seem to mind less and less) and his contact rate in general, and partially that they really do have several outfielders in the pipeline who they also believe in who will warrant protection soon too. I could easily see them protecting Suter and Roache and exposing Barnes (again) and Ortega too. I really don’t know with those four. All of them could go either way and I think there’s justification. Stearns could also have evaluated Wang and not think he’s worth protecting at this time. We’ll find out on Friday. Today is Saturday, February 7 and we sit 58 days away from Opening Day on which the Brewers host the Colorado Rockies at Miller Park, April 6. It’s also late Saturday afternoon as I sit down to write, so let’s get to it. 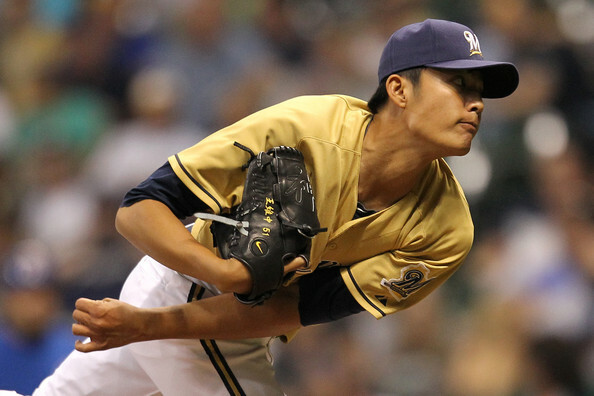 Wang, just 22, came to the Brewers by way of the Rule 5 Draft in December 2013 at the Winter Meetings. Wang was originally signed as an international free agent by the Pittsburgh Pirates in 2011, but an injury caused his original contract to be voided. The new contract that the Pirates signed Wang to caused him to be exposed to the Rule 5 Draft much earlier than he normally would have been. Wang didn’t pitch well at all at the big league level in 2014, but that wasn’t what he was there to do. He was there to mop up some games and just stay on the roster long enough for the Brewers to retain his services in 2015 and going forward. He did those things somewhat well, and I could give you his numbers at the big league level, but that belies his situation. In no way was he ready to pitch to big league hitters. The Pirates knew it. The Brewers knew it. And if Wang didn’t know it, he figured it out pretty quickly. The problems surrounding the Wang situation were two-fold in my opinion. First, Wang wasn’t pitching like he would have been had he played a full season at a level of competition commensurate with his stage of development. He missed a lot of innings in 2014, ones that he’ll begin making up in earnest during big league camp this year. Make no mistake, Wang is expected to contribute as a member of the Major League rotation down the road. That’s why he was drafted, kept, and eventually stashed. More on his 2015 outlook at the end of this piece. First, let’s remind ourselves of the other problem with Wang, this one indirectly attributed to him. Much of the time when Wang was in the bullpen, Ron Roenicke only had six arms he trusted out there. Coupled with the team’s incredible start through the end of April, that meant a ton of early innings for those trusted arms. We saw down the stretch that Will Smith tired out mid-summer before turning it back around and Tyler Thornburg ended up with a season-ending injury to his elbow. Could some of that use and possibly related injury have been avoided with a seventh reliever to eat up some of that work? We’ll never know for sure, but overuse is often blamed when relief pitchers break down physically. There’s no questioning how many innings were split only six ways in April, but again, some of that is because you use your best bullpen guys in games that you’re winning and the Brewers won a lot that month. As for 2015? Well, Wang will start games as he did while on a minor league rehab assignment last year. He’s could potentially break camp with the Class-AA Biloxi Shuckers, though he might begin with the Class-A Advanced Brevard County Manatees. It will probably depend on whether there’s room at Biloxi once the rest of the assignments are figured out. If Wang was ready to contribute to the big league rotation by 2017 — he’d still be just 24 when the 2017 season begins — that would be a quality situation for the Brewers scouting and development team who identified Wang as a target and convinced General Manager Doug Melvin to pull the trigger on him. Don’t expect to see Wang in a big league box score in 2015, or even a Triple-A one. The world he got to experience for a few months of Major League Baseball will benefit him, but he’s still got a ways to go. Hopefully he gets back sooner than later so that we can once again experience the excellence that was Wei-Chung Wang Wednesdays. The Milwaukee Brewers have made what is at least their first round of September call-ups prior to Monday’s game in Chicago. I went on to mention how much sense it makes to have a third catcher in the month of September. Just think back to how the Brewers utilized Yorvit Torrealba, and you’ll get the idea. In order to clear a 40-man roster spot, which I mentioned they’d need, the Brewers moved infielder Jeff Bianchi to the 60-day Disabled List. The only other true September call-up at this point is outfielder Logan Schafer, likely recalled a day earlier than he would have been due to the uncertainty surrounding the injured wrist of Carlos Gomez. Gomez said he felt a pop in his left wrist while swinging during an at-bat in the top of the third inning on Sunday afternoon in San Francisco. He was pulled from the game after awkwardly finishing his at-bat with a bad swing. To Schafer’s part, he’s had a whole lot full of better looking swings since getting back in a groove due to his regular playing time with Nashville. When he was demoted following the acquisition of Gerardo Parra, Schafer went back to a .236/.349/.375 slash line in Triple-A. All he’s done is get hits in 19 out of his 23 games (including eight multi-hit affairs) and raised his slash line to .273/.356/.461 which is not an insignificant increase. Schafer still brings his glove with him which he might need early. As for the other additions made official on Monday, while Jimmy Nelson is technically a September call-up (he was only officially with the Brevard County Manatees on paper while awaiting his scheduled MLB start Monday afternoon), the Brewers otherwise activated both Matt Garza and Wei-Chung Wang off of the 15-day Disabled List. Garza is scheduled to rejoin the Brewers starting rotation on Wednesday in Chicago. He has been out since being pulled during a brilliant start against the St. Louis Cardinals back on August 3rd after straining his left oblique. The Cardinals came back to steal that one from the Brewers prompting Garza to say that they “dodged a bullet.” Hopefully it doesn’t take Garza long to round back into that same form. The Brewers are going to need him. The Brewers probably won’t need much from Wei-Chung Wang though. Wang has been stretching out during his rehab assignment, most recently completing the longest outing (7.2 IP) of his professional career with the Brevard County Manatees. In it, he tied a career-high with eight strikeouts, something he hadn’t done since his first appearance in 2013 in the Pirates’ system. It will be good experience for Wang to be around a pennant push, though I wouldn’t expect him to pitch maybe at all in September. They’ve got more than enough arms to cover themselves and Ron Roenicke rightfully won’t exactly trust Wang with every pitch being so crucial over the next 28 days. The other new face in the Brewer locker room on Monday is expected to be relief pitcher Jonathan Broxton whom the Brewers officially acquired from the Cincinnati Reds just after noon on Sunday. For more on that deal, check my write-up here as well as my short interview with Broxton’s agent. 30 groups of prospects, six teams, ~5.5 weeks. This is the Arizona Fall League. As a premier showcase for talent on the cusp of breaking through to the upper levels of the minors and ultimately The Show, the Arizona Fall League plays host to some of baseball’s best and brightest of who you’ve likely never heard. This year the AFL runs from October 7 through the league championship game on November 15. The annual All-Star Game, appropriately dubbed the “Fall Stars Game” will be held on November 1. Brewers prospects will be a part of a different, yet somewhat familiar, team this year. After competing last year as a part of the Saguaros of Surprise, the Brewers will be returning to the monicker under which they played in 2012, that of the Desert Dogs. In 2012, the Desert Dogs were referred to as the Phoenix Desert Dogs. In 2014, however, they’re known as the Glendale Desert Dogs. They play their home games at Camelback Ranch, which is the Spring Training home of the Los Angeles Dodgers and Chicago White Sox. Farmhands from the Dodgers, White Sox, Baltimore Orioles and Detroit Tigers will work alongside those of the Brewers as members of the Desert Dogs. GUESS WHO’S BACK — BACK AGAIN? While I was eating supper with my parents who are in from out of town, the Milwaukee Brewers made official was has been danced around and toward for some time now. Jimmy Nelson has been recalled from the minor leagues. He’ll start on Saturday against St. Louis at Miller Park, his first home start of 2014. With the gap in the National League’s Central Division at 2.0 games (as of publishing on Thursday, July 10) the Brewers brass must have felt that rolling the dice with Marco Estrada against a Cardinal team he’s historically struggled against wasn’t what is best for the business of winning baseball games. Nelson comes with plenty of acclaim and hope, and hopefully plenty of aplomb as he’ll be thrown right into the thick of a divisional race that is as tight as it’s been in roughly three months. In summary, Nelson has been a dominant force in Triple-A this season and is clearly ready to try the next level. But let’s be fair to him. He should not be seen as a savior or the next coming. He’s got the goods to compete, and will likely struggle from time to time as he adjusts to the best hitters in the world, but as he showed in that spot start against the Marlins, he has the chance to compete. That’s something that the team hasn’t always gotten out of Marco Estrada, whose spot in the rotation Nelson will be taking. Speaking of Estrada, of the 4.96 ERA, 5.71 FIP, and MLB-worst 27 home runs allowed, he will be contributing to the team from the bullpen for the foreseeable future. Estrada should be somewhat useful if he’s able to embrace the role and get all the way back to his strike-throwing, command-heavy ways. Working against him are his splits in the first inning of his appearances so far this season. 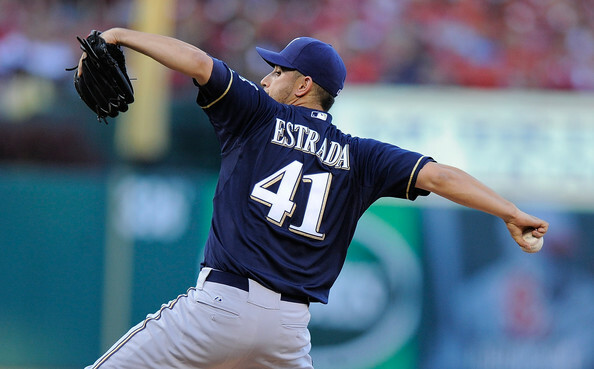 In his first inning of work in 2014, Estrada sports a 6.00 ERA, having allowed 12 ER in 18.0 IP. Seven of his 27 home runs allowed have come within the first three outs of his appearances and opponents are slugging .653 in the same. And for the sake of full disclosure, Estrada hasn’t walked a batter yet this year in his first innings of work. But those numbers are why I’ve been a little confused when so many people have touted Estrada for a bullpen job. It doesn’t seem nearly as cut and dried as many say that Estrada will be “so much better” as a reliever. The other thing time will tell is just how long Wei-Chung Wang will be on the disabled list. That’s right, conspiracy theorists: The Brewers placed Wang on the 15-day Disabled List with left shoulder tightness. In all seriousness, I don’t believe that the team has made up this injury. Rule V Draft choices are closely monitored so that teams cannot simply stash them on the DL with false injuries. But that’s beside the point of this article. The point of this article requires me to tell you that they opened up the spot on the 25-man roster to recall Nelson by placing Wang on the DL. So, there you have it, Brewer Nation. Comment here or respond via social media.